Without a roof to protect it, the stone of Dunkeld Cathedral is vulnerable to changing climate. Hear how our specialist conservation team are working to protect it – from 1920 into Scotland’s Year of History, Heritage and Archaeology. On the banks of the silvery Tay sits a historic site with sacred links dating back to the late 6th – early 7th century. This is Dunkeld Cathedral, where we have recently been working to preserve the unroofed nave. Dunkeld is an important crossing point on the River Tay. We believe a monastery may have stood on the site as early as the 6th or 7th century. A stone cathedral was first built in the mid 800s to shelter relics of St Columba being brought inland from Iona to escape Viking raids. Construction of the current cathedral began in mid-13th century and it wasn’t finished until the 16th, shortly before the reformation in 1560. Some red stones from the earlier cathedral are still visible in the East Gable. The cathedral then lost its roof during the reformation, though the choir was later restored to serve as the local parish church. Dunkeld Cathedral was one of the first buildings in Britain to receive government funded restoration. The state contributed towards the cost of repairs on several occasions. 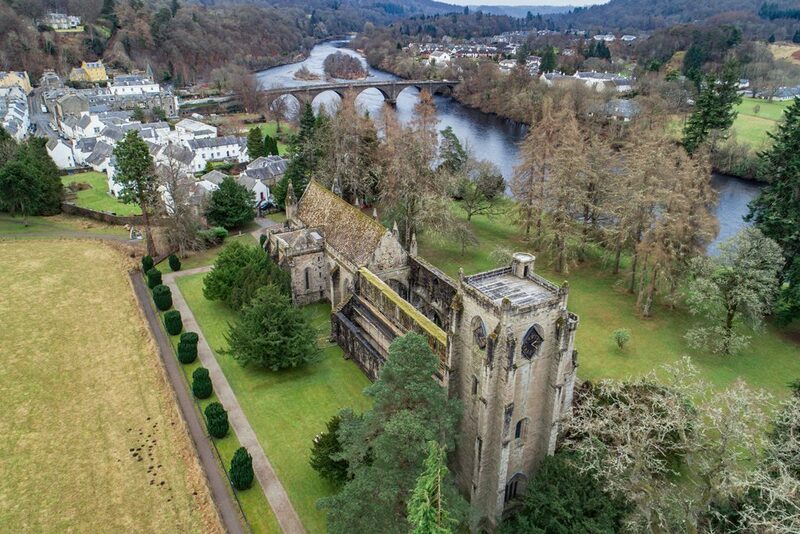 Some of the earliest government supported repairs date back to 1689, when the cathedral was damaged during the Battle of Dunkeld between Jacobite and Government forces. The cathedral came into our care in the 1920s, and we’ve been carrying out works to preserve it ever since. And long reaching, remotely operated cameras to inspect parts of our monuments not easily seen from the ground. At Dunkeld Cathedral, recent inspections highlighted a need for work on the wallheads, general walling masonry, and upper window tracery (some of the most important late medieval tracery in Scotland). Works are being carried out in several phases, focusing on one part of the cathedral at a time. 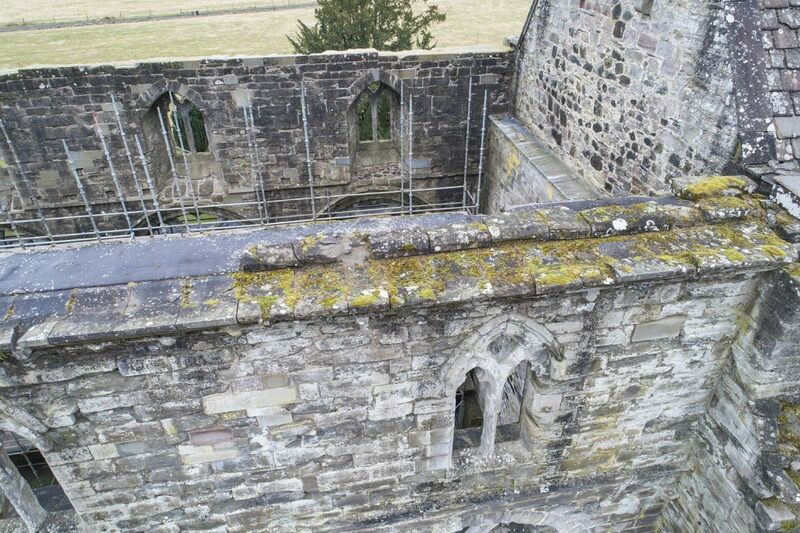 First, scaffold was raised so we could undertake detailed inspection of the walls. This helped us work out where stones need to be replaced and joints repointed. Specialist conservation work will also be required for the delicate tracery. 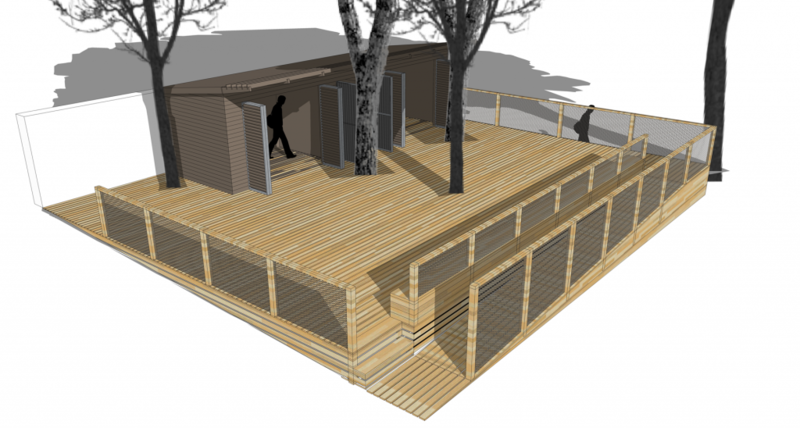 We will also be erecting new hewing sheds for our Monument Conservation Unit stone masons. This means our masons will be able to work in-situ, and special tours to the site will allow visitors to see new stones being carved on site. 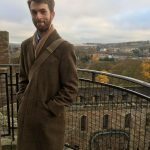 This will promote the efforts that go into preserving these historic buildings, and highlight the often unseen but highly skilled labour we rely on to look after Scotland’s historic buildings. Why do we need to intervene? All stone buildings suffer from weathering and gradual erosion when revealed to the elements. The roofless Dunkeld Cathedral is no exception. Without a roof to protect it, the stone of the Cathedral is vulnerable to changing climate. It is a very clay rich stone, and increasing rainfall is washing the clay away. The increased wetting and drying cycles, combined with extended periods of freezing temperatures, have caused some of the stonework to fail. 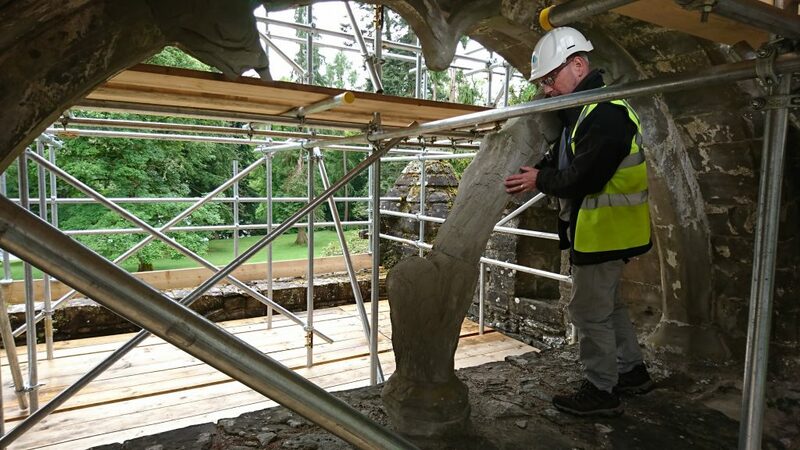 Our repairs will stabilise the cathedral stonework, ensuring it is protected for the future. Works to the wall-heads will protect the walls from water ingress, making them more resilient in the face of rainfall. These works will reduce the risk of loose high-level masonry and will allow us, in time, to fully re-open the cathedral to the public. The current phase of works began towards the end of 2014, and will continue in stages until 2021. This sounds like a long time, but is actually a much sooner end date than initially planned thanks to increased funding from the Scottish Government. In the meantime, the exterior of the cathedral and the beautiful grounds are open to visitors throughout the year. The Friends of Dunkeld Cathedral offer guided tours, and you can also climb the scaffold to admire the work of the masons by booking onto one of our Insights Tours. Want to know more about our specialist conservation work? Why not plan a visit to The Engine Shed, our brand new conservation hub in the heart of Stirling, which opens to the public on Monday 3 July 2017!